The Fort is a beautiful and cozy floor plan. 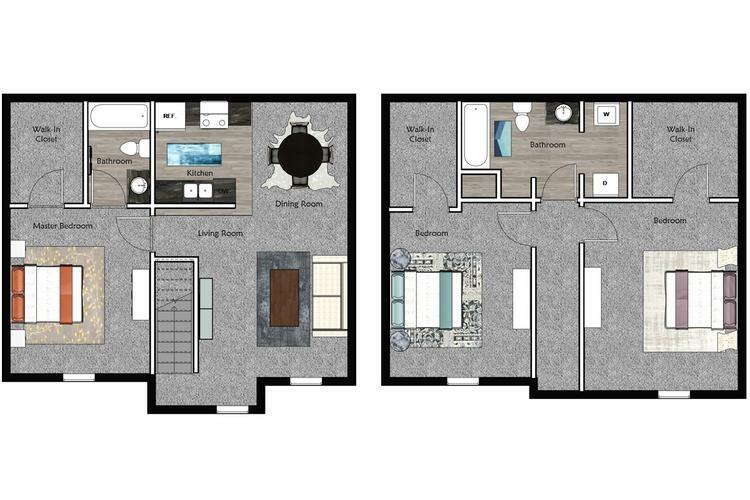 The upper level provides a split floor plan with two spacious bedrooms each with ample closet space. The first floor provides a master suite along with a large living room and updated kitchen. You will immediately feel at home! 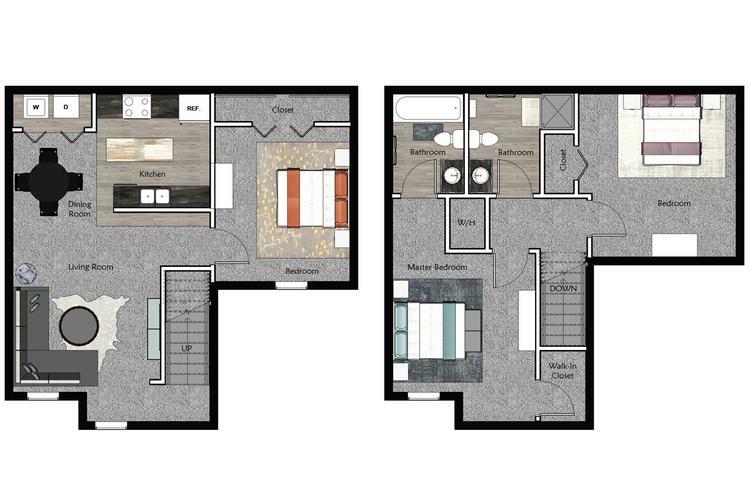 The Element is our largest floor plan featuring spacious bedrooms, a laundry area with a full size washer and dryer and an open-concept living room and dining room space. 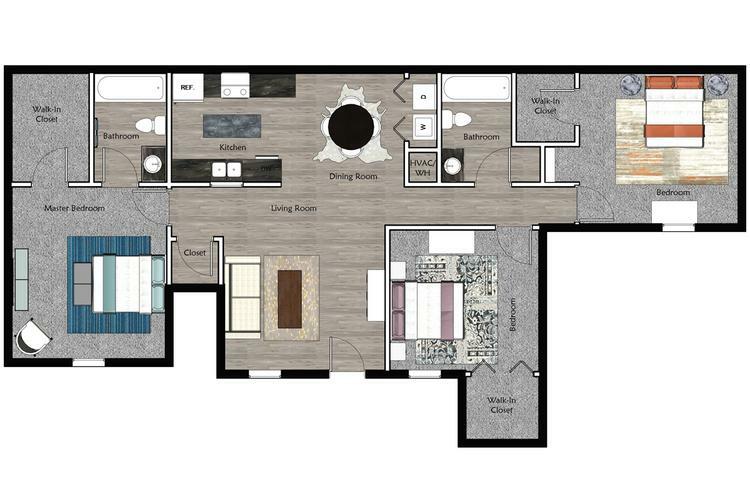 Stop by to see one of our most desirable floor plans! The Oklahoma is truly the perfect place to live! This ranch-home style floor plan has everything you could want with an upgraded kitchen featuring stainless steel appliances, spacious bedrooms, two upgraded bathrooms and wood-style flooring throughout your home!